This Patterson Park yard gives a family extra room and year round comfort. Our clients in Patterson Park had a cracked parking pad for a back yard when we first met with them. With two small children they wanted to both increase the living space of their small row home and have a place to enjoy the outdoors. We worked together to create a living area in which to eat, rest and play. We had a great experience working with Rob and his team at Charmscapes. Rob saw potential that I didn't even think was possible with our cracked back parking pad. They truly transformed it into a little oasis. I really feel like we added a new outdoor room to our home, which is invaluable when talking about a 1,200 square foot row home. The door to the back yard is right off the kitchen and features a food storage and prep area built around the grill along with an herb garden for easy access. 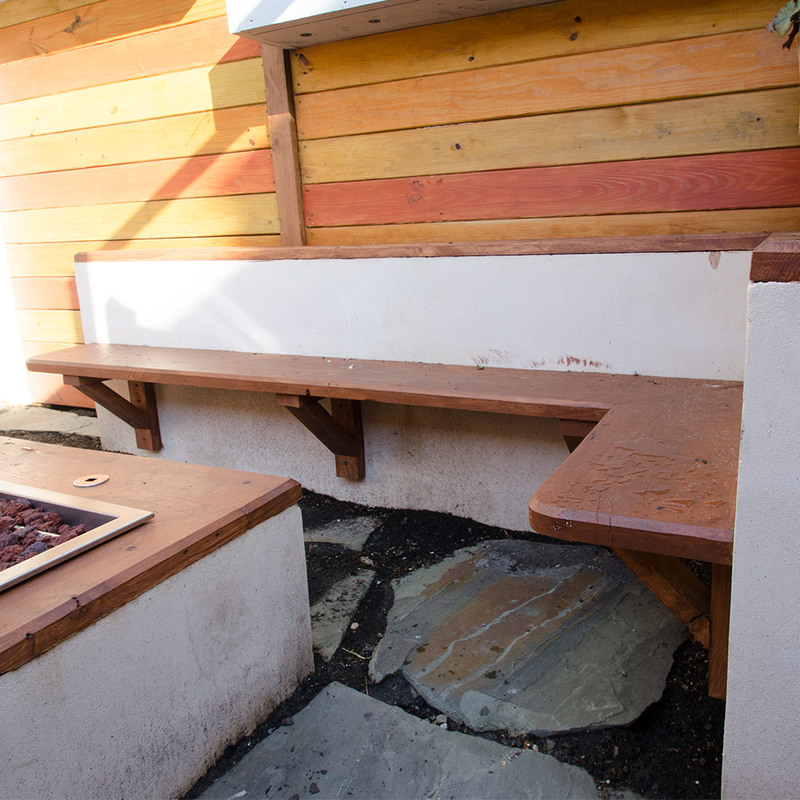 The gas fire pit and built in seating extend the life of this outdoor room well into late fall and early spring. The summer sun can make the outdoors unbearable in a neighborhood like Patterson Park, so we designed and built a retractable awning to provide shade when it's needed.